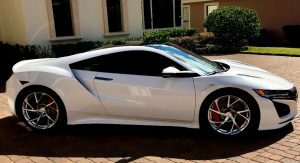 Enthusiasts and Acura/Honda fans waited nearly 13 years for a brand-new NSX to show up. Well, it sure did, but not in the way many expected. When the hybrid supercar was unveiled, it was a very different beast compared to its predecessor. 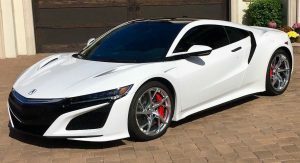 The high-tech powertrain has driven a number of enthusiasts to purchase the first-gen sports car, which caused prices for the original NSX to skyrocket. In fact, they are so high that you can now get the new NSX for the same price as the older vehicle! While scouring eBay, we came upon two NSX models. One is a 2003 NSX in a gorgeous shade of blue and the other is a white 2017 model. 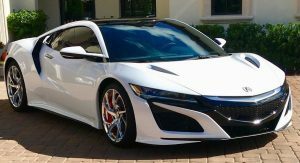 There really is no comparison between the two; the 2017 NSX is newer, has a lot more high tech, and is more of a performance car in every measurable benchmark. But they do have one thing in common. 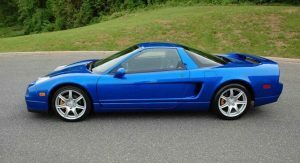 The seller of the 2017 NSX is asking $139,000, while the 2003 NSX goes for $120,000. That’s a price different of just $19,000. Now that’s a lot of money, but if you’re willing to spend $120,000, you probably have the funds to dish out an extra $20k. With that in mind, which vehicle would you purchase? These two cars may share the same nameplates, but they couldn’t be more different. 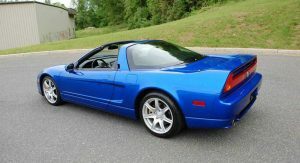 The 2003 model can be thought of the original NSX’s swan song. It ditched the pop-up headlights for fixed HID units, has a slightly redesigned front fascia,and different taillights. The vehicle also got some minor changes on the inside. 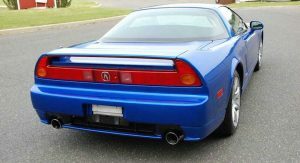 The exterior changes helped the NSX’s performance, dropping the coupe’s zero to 125 mph time by 0.2 seconds and raising the top speed to from 168 to 175 mph. 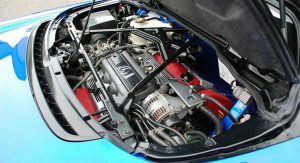 Speaking of performance, the first NSX was originally offered with a 3.0-liter V6 that made 252 hp, and later with a 3.2-liter with 290 hp. At that price, one would expect the vehicle to be pristine and from the pictures, it really does look super clean. 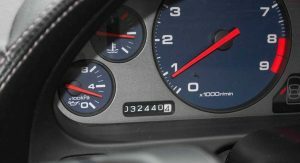 It has 32,440 miles on it, which is a little high for the price, but it is a Targa top model, which means that you have the best of a coupe and convertible in one vehicle. The 2017 NSX shares nothing but the name with the original. Chris Harris called the vehicle a “cut-price Porsche 918,” which speaks volumes for its abilities. 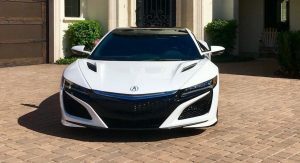 The NSX’s power comes from a twin-turbo 3.5-liter V6 that works together with three electric motors. With a combined output of 573 hp, the new supercar model is nearly two times more powerful than the original. The specific vehicle on sale has just 528 miles on the clock and had a MSRP of $176,000 when new. 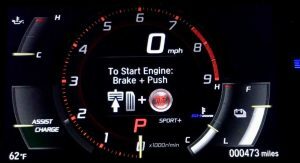 Some pricey optional extras include carbon ceramic rotors that cost $10,600 and polished interwoven wheels that are an additional $1,500. Losing $39,000 in depreciation in a year will be a tough pill to swallow for the owner. So, if you had to choose between the two, which would it be: the pure, rear-wheel drive original that was developed with input from no other than the late Ayrton Senna, or the ultra high-tech modern version that can obliterate almost any rival? I’d just get the original. The new one can’t touch the original!!!! 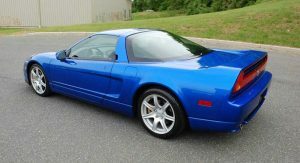 I considered a 2001 NSX, drove it, and hated it. So I think I’d have to go with the new one by default. Thought the old one would be a better investment. The new one is going to plummet in value worse than a four year old iPhone. I’m with you. I considered buying a 2002 back in 2008. They were asking $58,000. I ended up getting a 911 C4S instead. 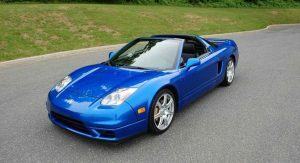 When I drove the NSX I was disappointed by the lack of power as well as the heavy steering. It just didn’t feel right. The 997 C4S (my Avatar) just felt right when I drove it. I have no regrets. Oh I just have to dive in here. I’ve owned an original (1992) for something like 16 years and I just love it. 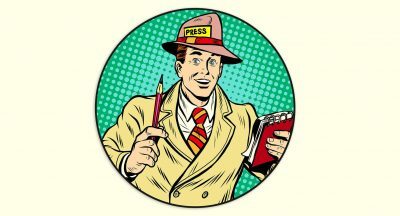 I’m sure the latest is a monster, but honestly, I can break every traffic rule there is in about 2 seconds, lose my license and be on TV for what I did, it’s stupid quick and stupid fast. My old beast with the six, is a pure joy to drive. I will never sell it. Unless you’ve got a ton of $$$ to spend, the original is an amazing car even though it’s very dated by today’s tech. My old beasty gets an incredible amount of attention parked or zipping about town. If you love to drive and can afford one, it’ll really put a smile on your face. Just zipping about and enjoying the handing and the performance it offers within legal limits is a huge amount of fun. Even though the original is very old, I do really enjoy the interior. Analogue speedo and RPM along with digital displays for radio and climate control all in red/orange is still very cool in my opinion. The original is a completely awesome car and if you can find a good one, in good condition and love cars like this, go get one 🙂 . As a 16 plus year owner, mine anyways is extremely well built, extremely strong, (you won’t break it) and is guaranteed to make you grin like a fool the moment you strap yourself in and fire it up. It’s a true bargain. Original of course, but I felt the blue 2003 example there is overpriced. So not that one, better find white NSX-R. I think that prices for NSX-R are above 250.000 $ now because they were limited.So,everyone,good luck!! Yeah I just check them out, well I do know they will be collector’s item in the future so give me more reason to get it. Original. Prices of the new one will tank. 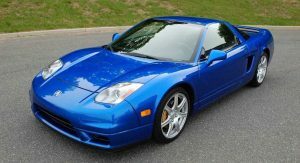 The 3.0-liter V6 that made 252 hp was found only in the original NSX with the automatic transmission. 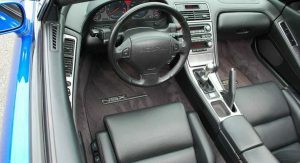 With the manual – it made 270 hp. That said… having owned the original [A red 1991] I’d take the NEW one. It’s a been there – done that sort of thing. There’s only one true NSX. 2. The original I’d have is the 1990s original, with pop-up headlights. 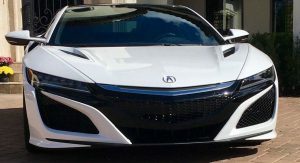 The new NSX is definitely worth that price as it is a complete supercar, so that’s my pick (also as it would be my daily drive or second car, I’m not a collector). The original is definitely appealing, but not at this price and especially not as a daily. *Newer is always better* – Barney Stinson. 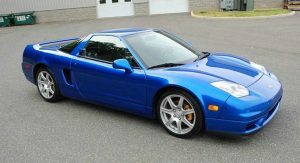 I prefer the original NSX (with the pop-up headlights) over the facelifted one with the clear lens headlights. And I want a Honda badge on it, not an Acura badge (which means nothing to me). But truth be told, exotic sports cars (Lamborghinis, McLaren, Apollo, Bugatti etc.) are for me some of the ugliest cars on the road along with most SUVs, CUVs and pickups. Those are my least favorite catergory of automobiles. I’m a sedan/wagon/coupe kind of guy. But the original NSX? That WAS and still IS a beautiful car. Definitely one of my 1990s dream rides. Ok, then I will take the 911 GT3, which is a little cheaper than the new one. The 2003 model is awesome but charging 120k for it is just absurd. If the older one is the R absolutely that one. If it isn’t no, the new one for me. I love the original, but my pick would be the new one. It’s a monster, sure, it’s completely different from what it used to be but there’s nothing like the new monster that gives rivals a run for their money and cost a fraction less. Ive never driven the NSX nor even seen in person but I heard that it was developed with Senna himself. But still honestly this is by no means a beauty because of mainly proportions and the headlights in this facelifted model. I’ll kindly take the appreciating asset, thank you. I don’t hate the new one, mind you. Or a Lotus Evora – cheaper, faster, and similar interaction. Old one is a Japanese Ferrari, new one is an ugly corvette. Original, I’m not a racing Pilot, I can have fun with a manual on any roads, the other one is a computer on wheels. A (Renault) Alpine A110 is closer to the spirit of the original NSX. I’m sure I’d be happy with either of them, but one is a kid dream, the other is just a very fast Honda for me with a design really too complicated. original can be my daily driver for the next 30 years. new one will go down as Acura’s Edsel.